Sawasdee ka~ Hello everyone! I’m FAI from Thailand, a global member from HDE, Inc. in Japan. I’ve been working here as a part-timer in HDE since June 2014 and finally joined as a full-time employee recently! 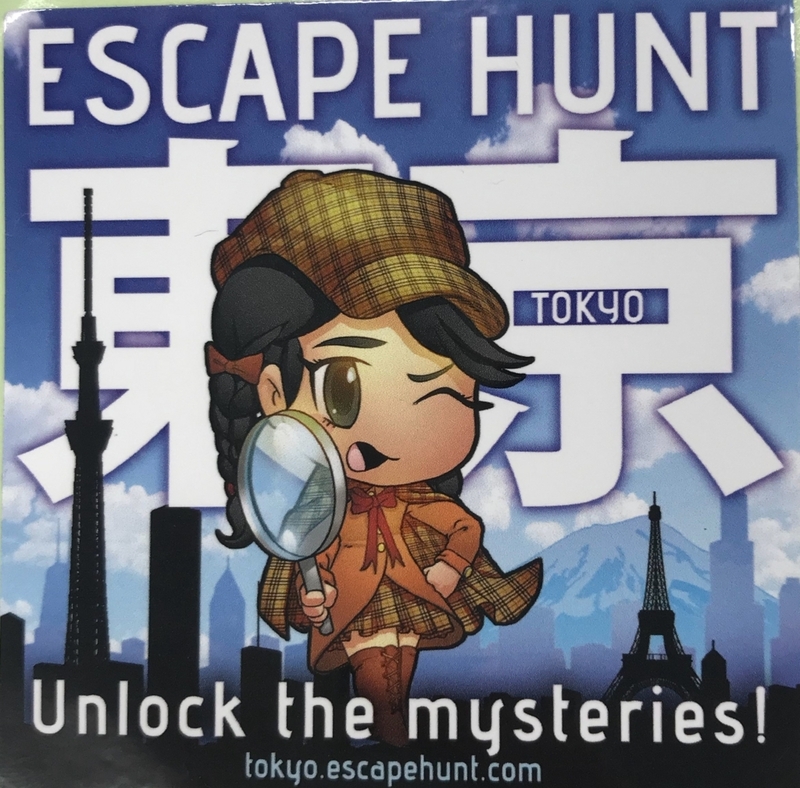 Our company decided to take us on an adventure to an Escape Hunt. You’re probably asking in your head, ‘Wow that must be nice to be working in a place where they would bring you out for a game activity’. Well, YES, it’s pretty awesome! But seriously, not only the Fun that we have had, but there are other things you can obtain from the game itself. 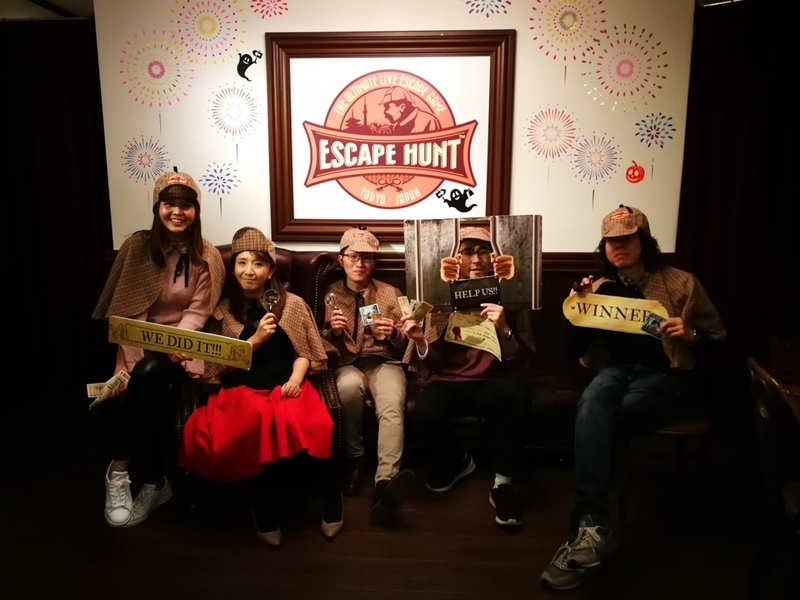 One thing for sure is the value of teamwork that would be required for everyone to team up in order to solve the mystery and pass the game lock. But you’ll find that there are more to that. 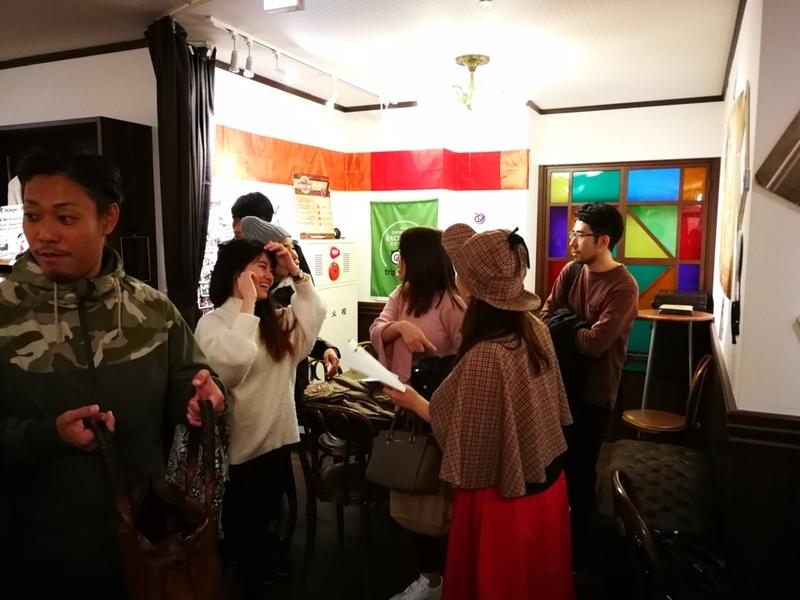 The main objective of this event is also actually a training for our Global members. 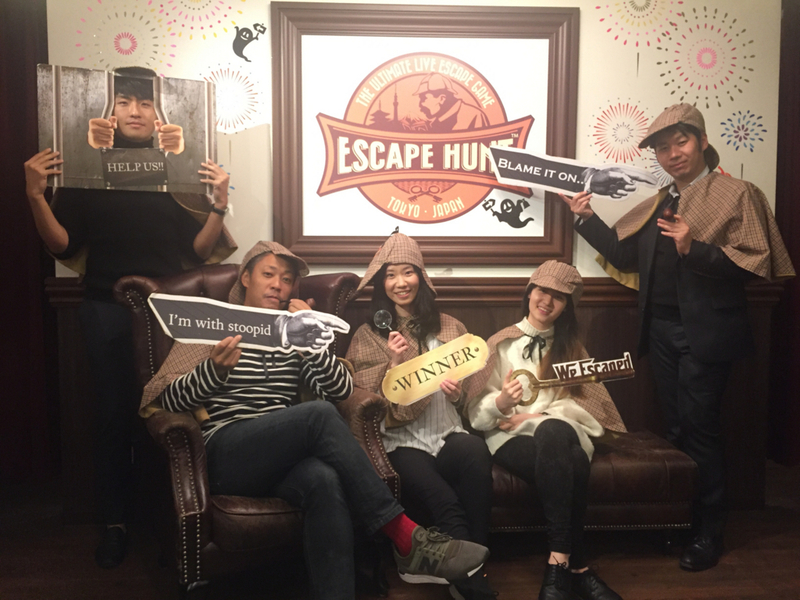 So….Here goes the story of our Escape Hunt !! As we entered the room, we were so confused on what to do and where to start. The only instruction that was given in the beginning was that we will have to unlock the room by using hints hidden around the room. We can call for hints from the game master. Each hint worth 1 minute. And we have 60 minutes to escape. In my group, everyone has ZERO experience in the game (O___O). We only know that Okay we will have to escape from the room, but like HOW!? This picture is my group after we have finished the game already. Anyway, inside the room, there were two hidden rooms that we had to unlock to get the next hints and so on. I would say it was really hard in the beginning to figure out what to do and what to look for. After spending about 10 minutes in the first room, plus calling for one hint from the gamemaster, we were able to figured out the first puzzle and unlocked the key to the second room. From here, we started to get the sense and logic of the game itself. 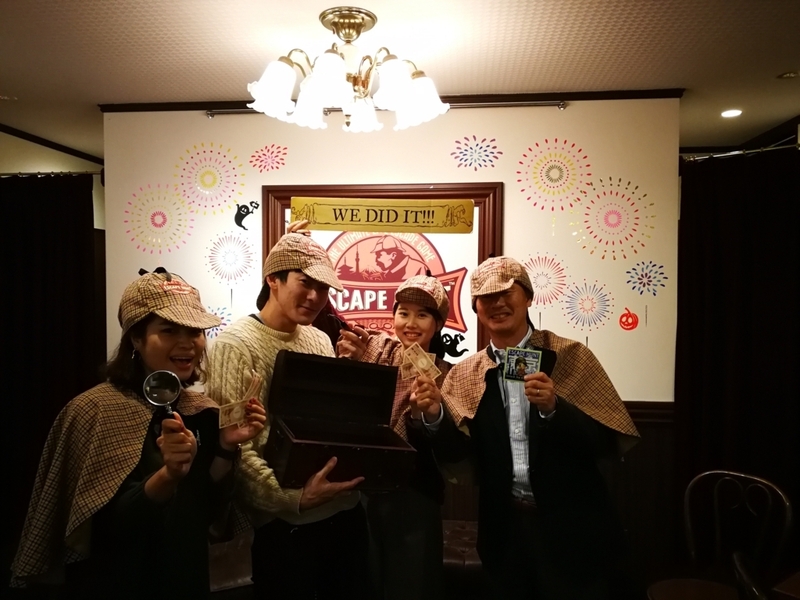 After gaining experience from the first puzzle, we’ve learned that the first thing you have to do is Observe the whole room (<.___.>), and Find any marks or symbols that you feel it may lead you to the next hint. I’ll give one example of the puzzle to give a better picture of how the game works. This puzzle was the easiest one to be noticed. So as we entered the 2nd room, we’ve found something similar to this on the wall. (I drew this so it’s not exactly how it was, but just to give an idea hehe). The answer is to count all the symbols on those rugs and put it in the equation above to get the passcode to unlock the next puzzle. (Could you guess that? haha) This one was actually the easiest one to solve so we didn’t take much time to figure out after observing the whole room for a while. You might feel that this sounds easy, but most of the puzzles have hints hidden throughout different places and rooms. There are overall about 6 or 7 puzzles and some required hints from different rooms. Hints for the last puzzle (I would say the hardest one to solve) are dropped throughout the whole walkthrough of the game. The game itself requires players to be observant and attentive at all times, and most importantly cooperative. Since we were given only 60 minutes to escape the room. After realizing what needs to be done, we have to be quick in solving the puzzle. That’s where teamwork comes in. For instance, the example of the puzzle I’ve given above. It took us only about 3 minutes to figure what to do next. It’s the counting part that takes time. Here, we have to come up with a strategy and assign each team member each task. 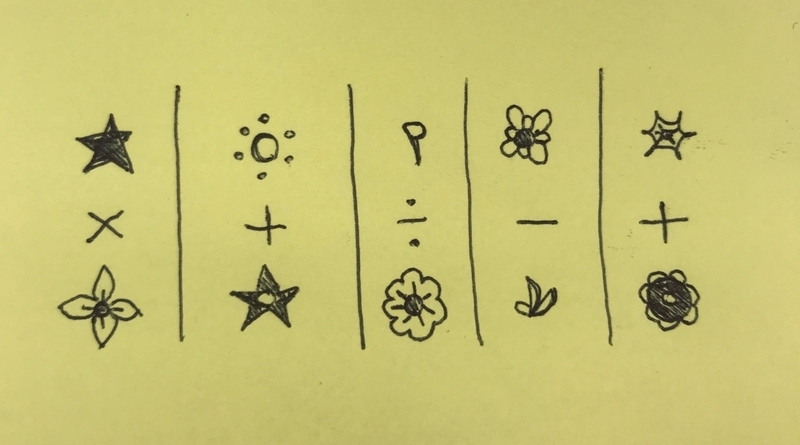 For our group, we assigned four people with symbols for them to count the number of symbols that appeared on the rugs, and one person record down the number to do the calculation. 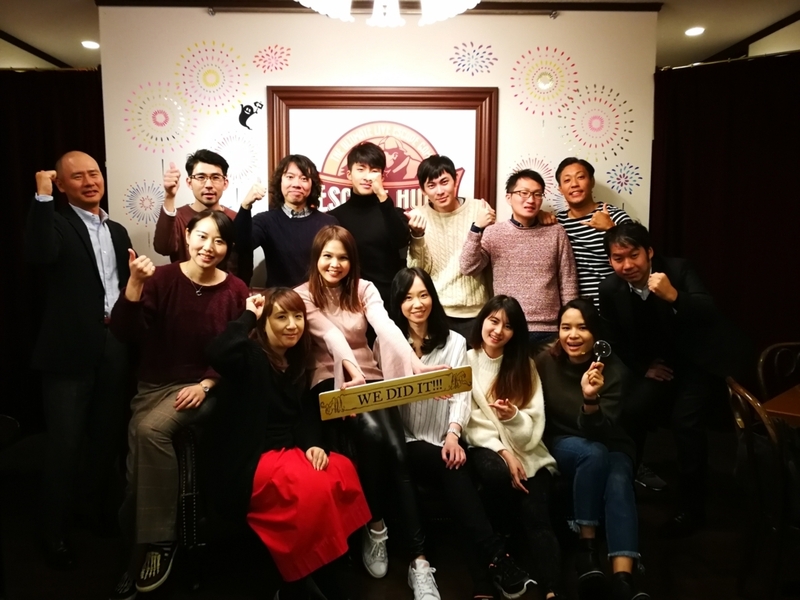 To dig deeper, I believe that not only cooperative skill, but the trusts developed among members are also fairly important. Some puzzles were quite complicated that sometimes we are not sure if our direction of solving the problem is actually the right one or not. Since there are many possibilities to achieve the solution in a short amount of time, I believe it is essential to act right away once the decision has been agreed among members. Anyway, to sum up our activity, Escape Hunt has been a fun and learning experience for all of us. We all have gotten to know other members in the group better within just this 60 minutes. We can all see that each of us has different abilities that added up to a great teamwork. Some are highly intuitive, some are great at logic, some equipped with good observation, some have high leadership, and some are great supporters.